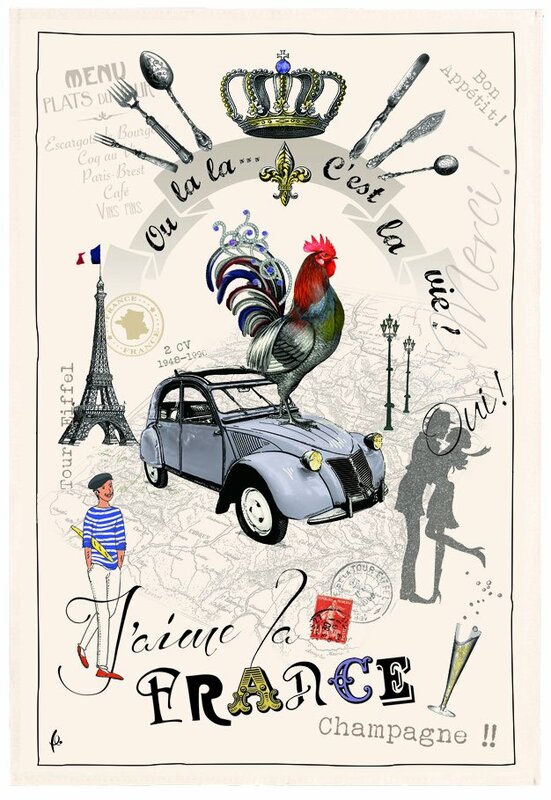 What do you think of when you think of France? The Eiffel tower? Men in berets? A Citroen car? 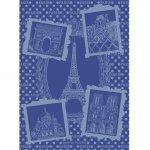 You choose with this printed cotton towel by Torchons et Bouchons that you can use to decorate or to dry your dishes! All cotton. 19" x 28". Made in France.